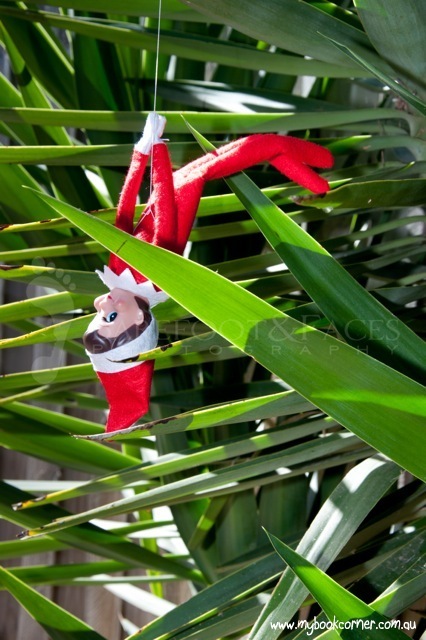 The Elf on the Shelf has arrived in Australia. My Book Corner kindly introduced her to some fabulous picture books and Aussie wildlife on Day One, then helped her find discover some new foods on Day Two. A quick telling off left us in the firing line. 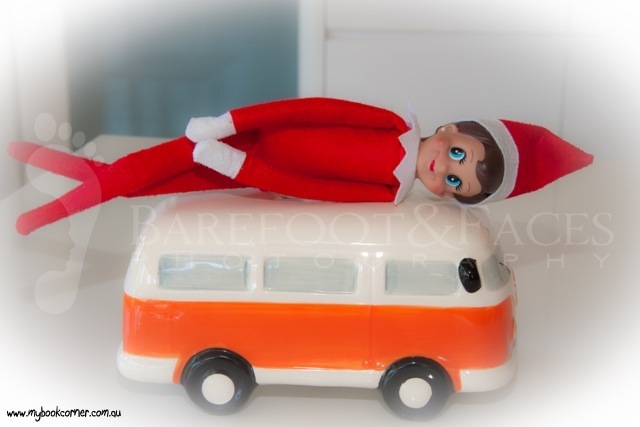 Time to head off in the camper van, but not before elf snuck in a bit of planking practise. 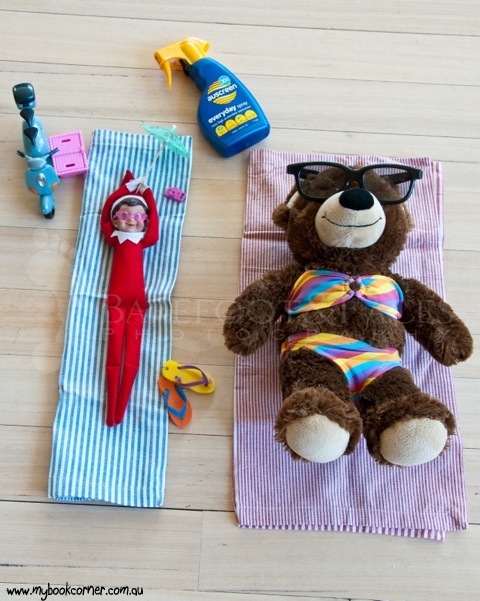 Then it was time for a bit of R&R with her new buddy. 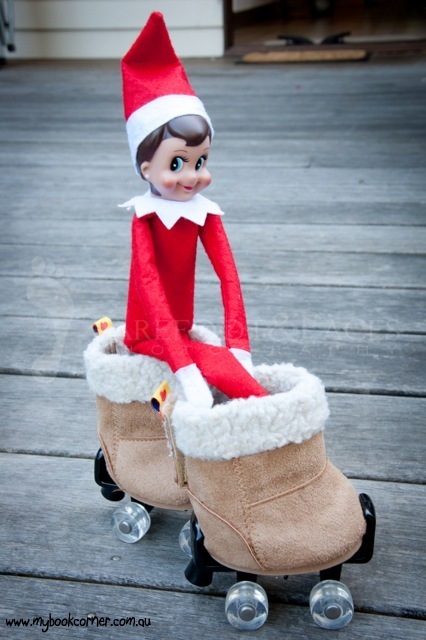 We had to rush back in time for dinner … luckily elf got her skates on, urm, with UGG boots?!?! Day FOUR? Well, we she needed required some quiet time. Click here to view. PS. 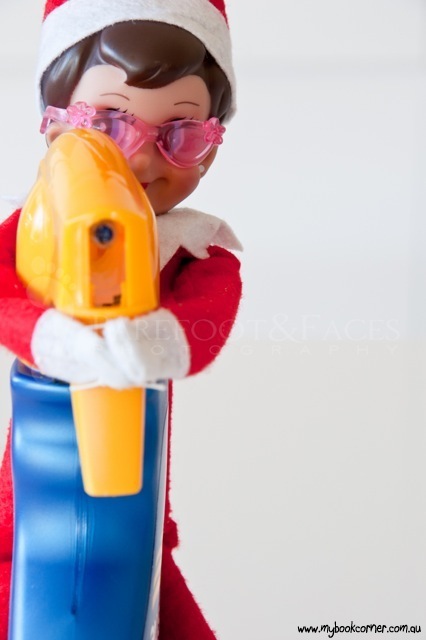 If you are brave enough to manage your own elf, The Book Depository currently stock the full range, with free worldwide delivery. 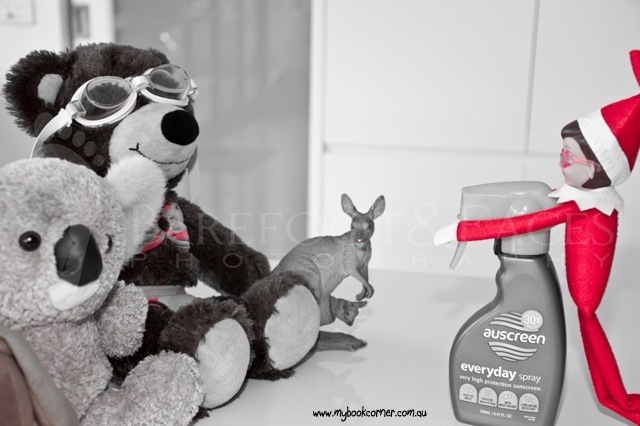 Photography and oodles of patience from Barefoot & Faces Photography.